The Twitterverse has been abuzz today with heart day topics from “How Sustainable is Your Valentine’s Day Candy?” and a Harvard Business Review “Ode to Leadership and Love.” In honor of today being February 14th—Valentine’s Day in many countries around the world—I thought I’d write about my love for green buildings. Nothing sends a message of love to the planet like a green building! With studies in USA, UK, Australia, and France showing better financial performance for green buildings, high-performance design and operation definitely can help the bottom line. What about the triple bottom line of people, profit, and planet? The U.S. Green Building Council’s Business Case for Green Building states that commercial building tenants gain healthier indoor environmental quality and public relation and community benefits from green buildings. Genzyme Center (a Schneider Electric customer) reports that environmental features have made employees happier and more productive: sick time reduced by 5%, 88% employees report improved well-being, and 72% employees report improved alertness and productivity. 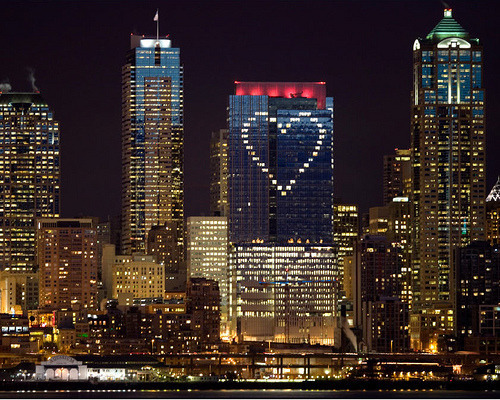 What a valentine a building owner can send to his or her tenants! As a LEED Accredited Professional and a member of my company’s green buildings team, I am proud that the work we do to help our customers make the most of their energy is quite the love note to the planet. On this Valentine’s Day, I wish you happiness and green buildings in which to live, work, and play.